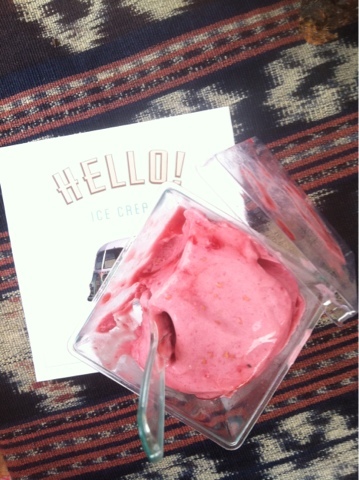 Hello ice cream showed up to the Saturday market today, and I believe they will continue to come, upping my daily ice cream quota. This delicious treat is raspberry. This post appears non-committal on the question of kind versus flavor for raspberry. I think it's a flavor.